Pregnancy is exciting, fascinating, frustrating (just wait until the first time you can't zip your jeans or you have trouble squeezing yourself through a crowded room)—and, unfortunately, stressful. What may add to that stress is the worry that your emotional state could affect your growing baby. 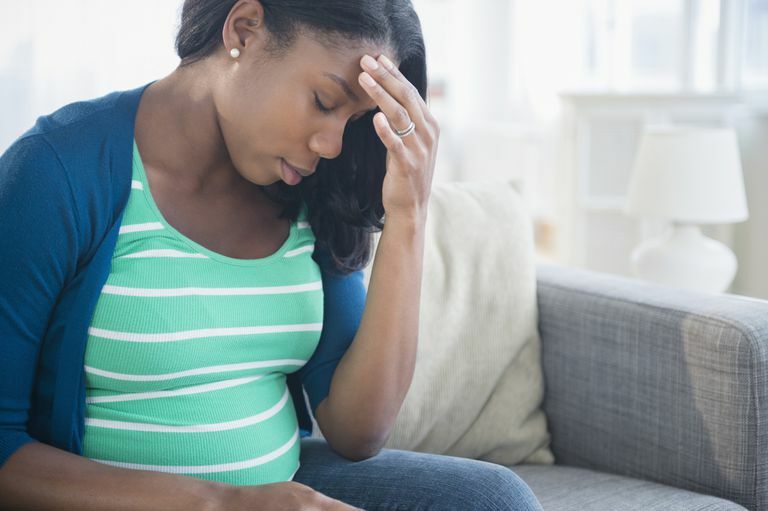 Research does suggest that severe stress can create problems during pregnancy—and sometimes very serious ones—by causing the body to produce certain hormones that can bring on preterm labor or even trigger miscarriage. Beyond that, the emotional consequences of stress for anyone, whether she's expecting a child or not, can range from a mild sense of being overwhelmed to severe episodes of depression. Note that it would take extreme stress to bring on such dire results. The kind of stress most moms-to-be isn't severe enough to cause the loss of a pregnancy: It's the everyday kind of stress and anxiety that can easily be dealt with. If you're expecting and stressed out, here are some simple ways to cope simply by gaining better control of your life. Take stock of your work activities, home and family responsibilities, and other obligations. Are you making time for exercise, relaxation, hobbies, friends? If these basic necessities are missing from your everyday life, it's time to scale back on the things that bring stress into your life: Work out shorter hours with your boss if you can afford it, for example, and delegate household duties to other family members. Enter your "me time" into your calendar, just as you would a meeting for work. Even if you're doing just fine in one stage of pregnancy, be prepared for that to change as you get further along. After the early months of fatigue and morning sickness are over, you may have an enormous amount of energy, for example, which is typical during the second trimester. By the third, though, you may be struggling with your increasing girth and also with anxiety about making sure the baby's room is ready or giving birth. Cut back on what you're doing and sleep more. Eat a balanced diet. Get more (gentle) exercise. Allow yourself time for reading, thinking, and planning for the new, incredibly important role of mother you will soon assume. Many things about pregnancy are not under your control. You may experience severe morning sickness. You may have overwhelming fatigue. You may develop a complication that requires bed rest or even lands you in the hospital for awhile. Give yourself over to anything that happens, because in all likelihood it happens for a reason: That nausea is a sign that your hormones a fluctuating exactly as they should support a healthy pregnancy, for example. And that, after all, is what matters the most at this exciting time in your life. Other than your doctor or midwife, you are the best person to determine what you need, how hard you should work, how much you should rest, and what you should eat during pregnancy. Don't allow yourself to be rattled by the well-intentioned but often incorrect advice of others. Keep the lines of communication open with those you love, especially your partner and other family members. Unless you tell them, they won't know what you're feeling and what you want or need. Nor will they know how they can best help you. No matter how independent you are by nature, this is not the time to overextend yourself—physically or mentally. If juggling your job and the laundry is too much, get your partner to deal with the dirty clothes, for example. If your boss is asking you to travel more than is comfortable for you, find out if a co-worker can go in your place or use Skype or another telecommunications tool to interact with clients. Learn as much about pregnancy as you can. Join a pregnancy group chat, talk to friends, go to classes, and talk to your doctor or midwife to learn as much as possible not only about the biology of pregnancy but also about its emotional implications. This way you're less likely to fret about a symptom or feeling you have because you'll already understand where it's coming from and, most important, that it's perfectly normal. Give yourself permission to relax. Take time to do whatever makes you feel good, and don't allow yourself to feel guilty about it. Research has found that using tried-and-true relaxation techniques can help stabilize heart rate, blood pressure, stress hormone levels, and muscle tension. The process of identifying thoughts and feelings is an excellent way to come to grips with what you are experiencing. Write down your thoughts in a daily diary or speak them into your phone. This process is called "cognitive restructuring." We often make negative assumptions about ourselves based on other people's reactions and feedback. If you can identify repetitive thoughts and write them down, you can then begin to determine whether or not they are reasonable. This can come in the form of seeing a therapist, taking medication (there are drugs that are safe during pregnancy), or both. The bottom line: Do whatever you need to feel happy and relaxed. Even if you can't quite come to terms with doing it for yourself, do it for your baby.